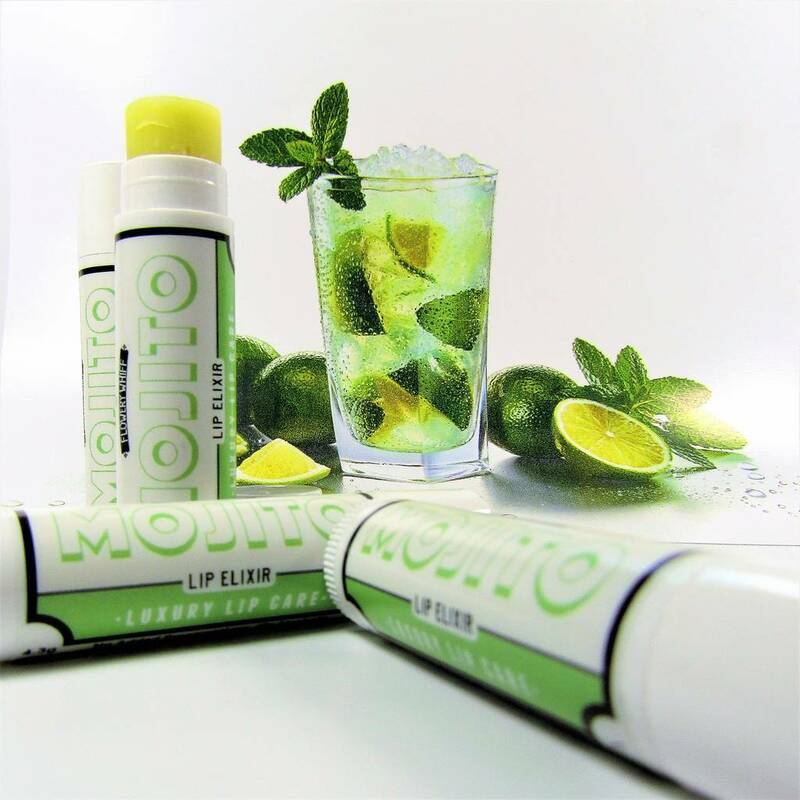 This fantastic new Mojito lip balm is crammed with naturally moisturising ingredients. (Unfortunately no alcohol is included!). You won't find a lip balm as thick and full of natural oils, butters and waxes than Flowery Whiff's Lip Tubes. There are no preservatives, paraffin or petrolatum in these balms! Shea and Cocoa butters, Hemp, Almond and Beeswax, and Castor, Sunflower, Olive, Avocado and Vitamin E oils are combined to make our luxurious lip tubes the popular choice for those who like a more natural type of skincare. 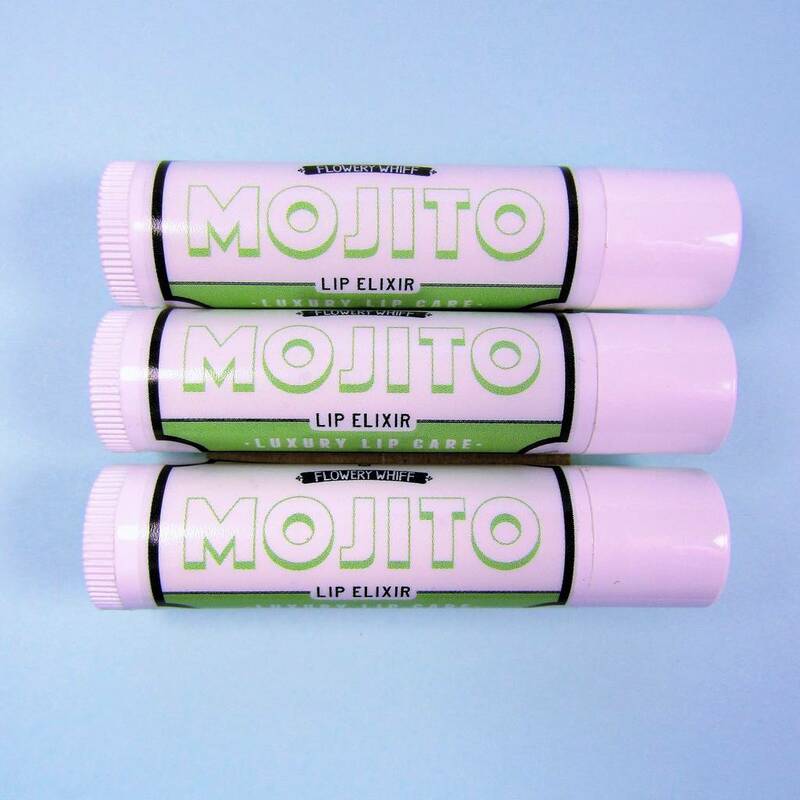 Because they are thicker and full of great moisturising ingredients they also stay on your lips longer than mass-manufactured balms. This Mojito themed Lip Tube with Citrus flavour and Lemon, Lime and Mint essential oils added also smells fantastic too. 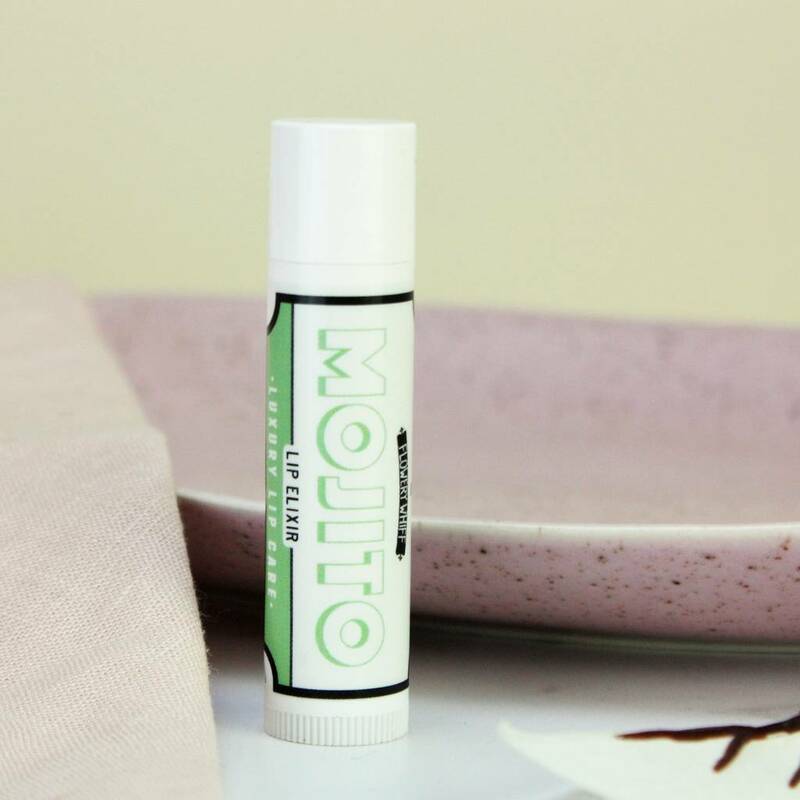 Eleven other cocktail lip balm flavours available. Shea and Cocoa Butters, Hemp and Almond wax, Beeswax, Castor, Avocado, Sunflower and Olive Oil, Vitamin E Oil, Mint, Lemon and Lime Essential Oils, Citrus Flavouring. This product is dispatched to you by Flowery Whiff.